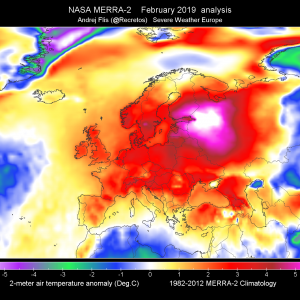 An upper ridge / high pressure system dominates Europe while N Europe and N Atlantic are affected by deep trough and cyclones. An upper low above S Balkan peninsula and SE Mediterranean finally weakens and moves towards NE. 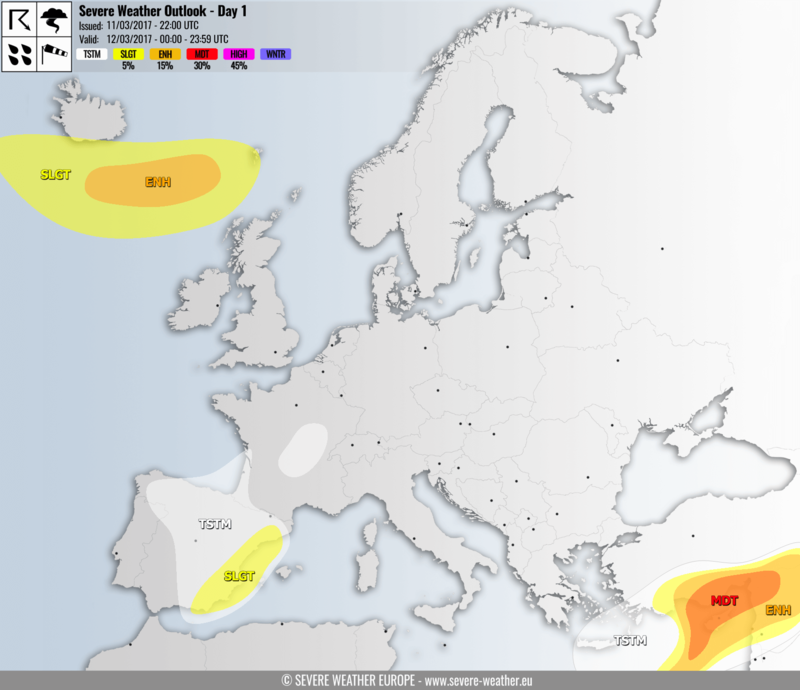 A weak upper low moves across France and Iberian peninsula. ENH/SLGT risk areas have been issued for parts of N Atlantic with threat for severe non-convective winds, associated with a cyclone travelling near Iceland. 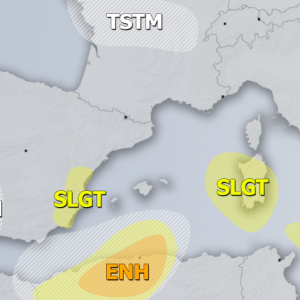 MDT/ENH risks have been issued for extreme SE Mediterranean, S Turkey, Cyprus and parts of Middle East with threat for severe winds, torrential rainfall, tornadoes and large hail. Numerous severe storms will be on going from early morning hours and spread ENE through the day. Excessive rainfall threat across S Turkey as strong SSE-earlies advect humid airmass into higher terrain and enhance orographic rainfall. 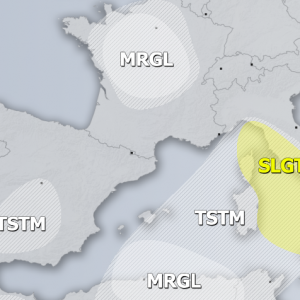 A SLGT risk has been issued surrounding the MDT/ENH risk areas with more isolated severe threat, severe winds and heavy rainfall are the primary threats. 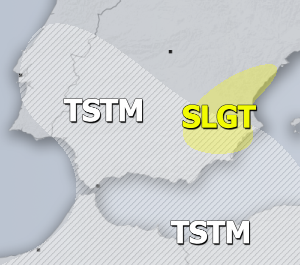 TSTM areas has been issued for SE Mediterranean and S Turkey where storms are expected, should remain sub-severe but limited shear will be supportive of waterspouts. 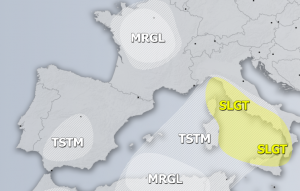 A SLGT risk has been issued for SE Spain with threat for heavy rainfall, marginally hail and severe winds as a cold front associated with upper low moves through. 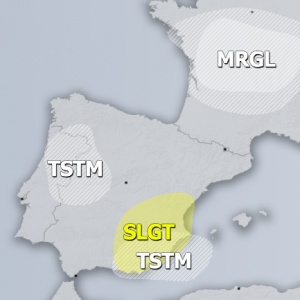 A TSTM areas have been placed across much of Iberian peninsula, parts of Bay of Biscay, SW and central France where some isolated storms are expected, but with limited severe threat.